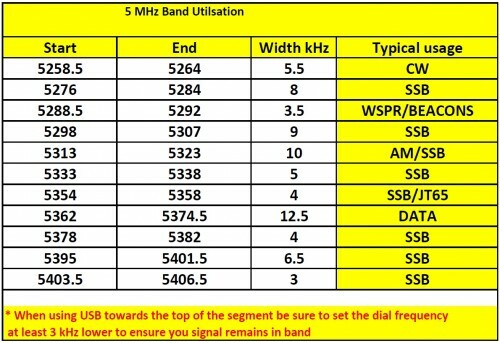 Unlike other bands 5 MHz can be a little daunting at first, and people often report the band segments are confusing. I have written a short guide to the band segments and provided some guidance of ensuring all of your signal remains in band. Read the guide and review the UK operating segments.